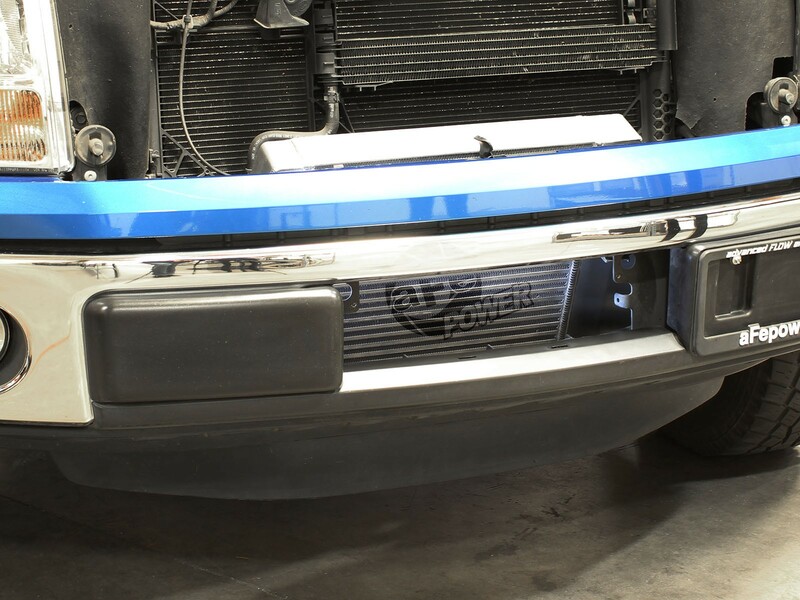 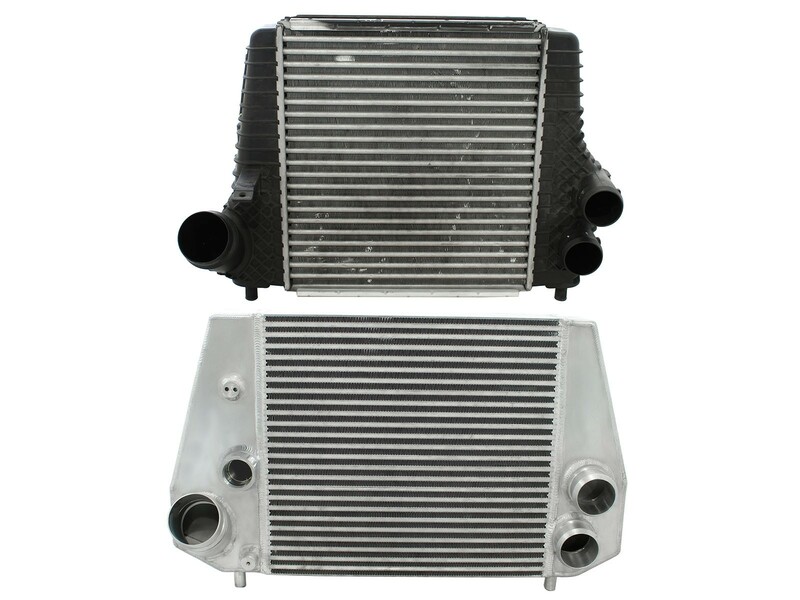 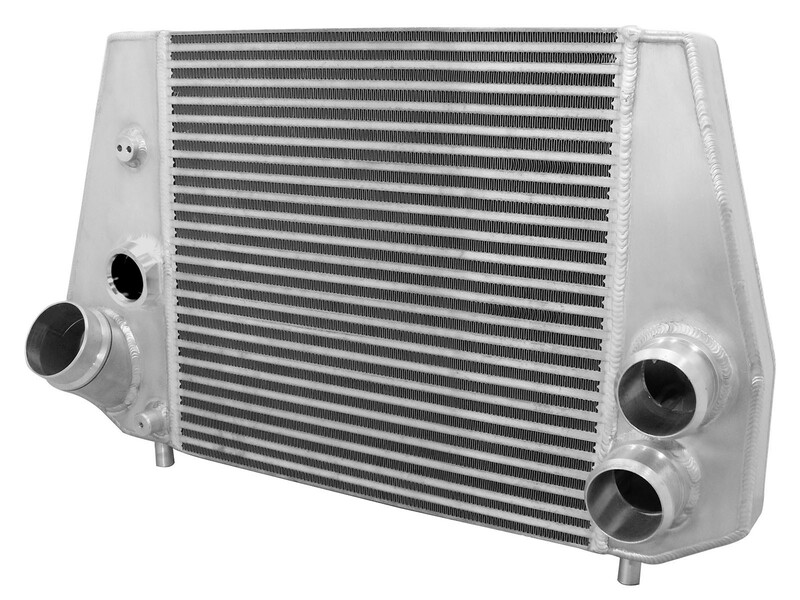 This BladeRunner Intercooler represents the next generation of intercoolers. 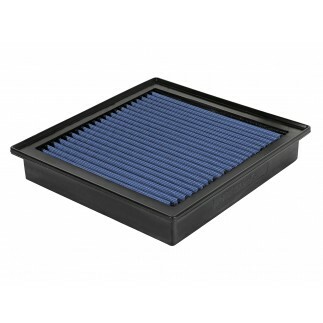 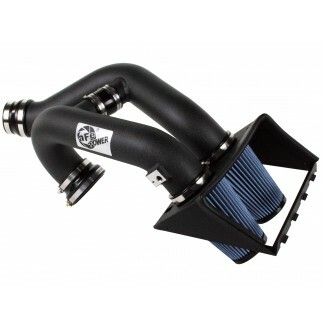 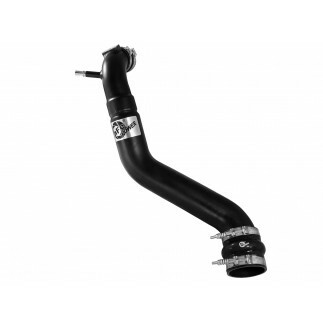 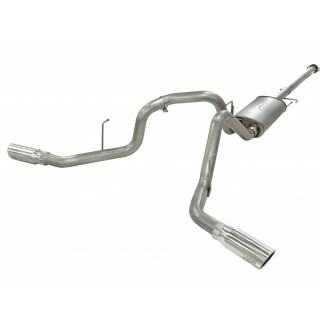 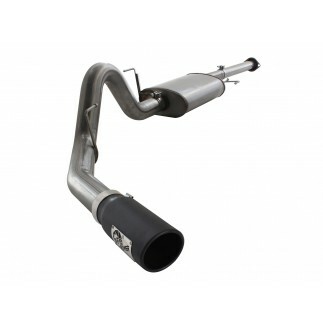 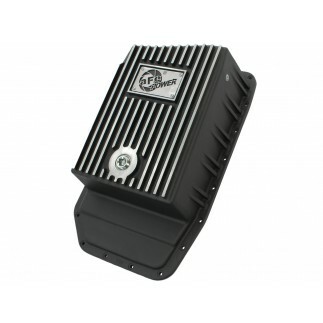 Designed specifically for the Ford F-150 Ecoboost 3.5L (tt), this BladeRunner intercooler utilizes a 3" bar and plate core design that is larger than stock and outflows the OE tube and fin core design by up to 20%. 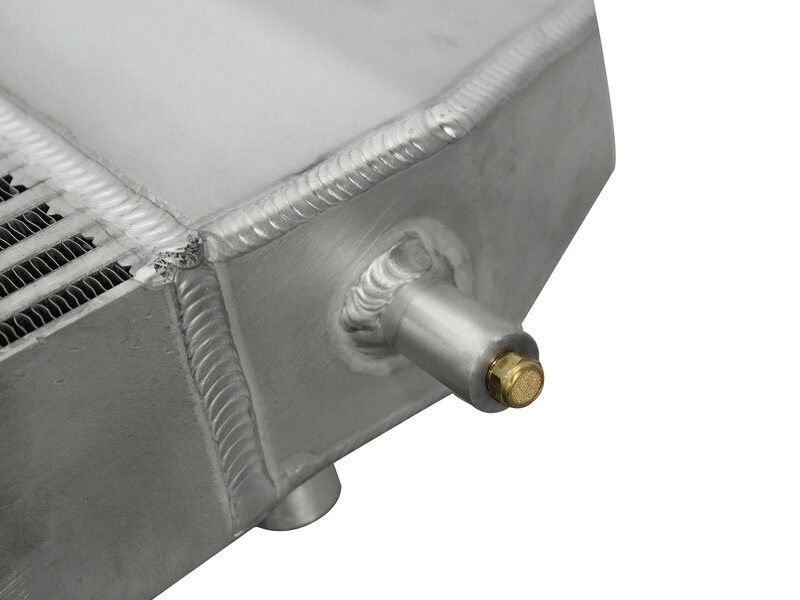 The 3/16" TIG-Welded end tanks offer superior strength, and durability while incorporating aFe multi-directional vane technology. 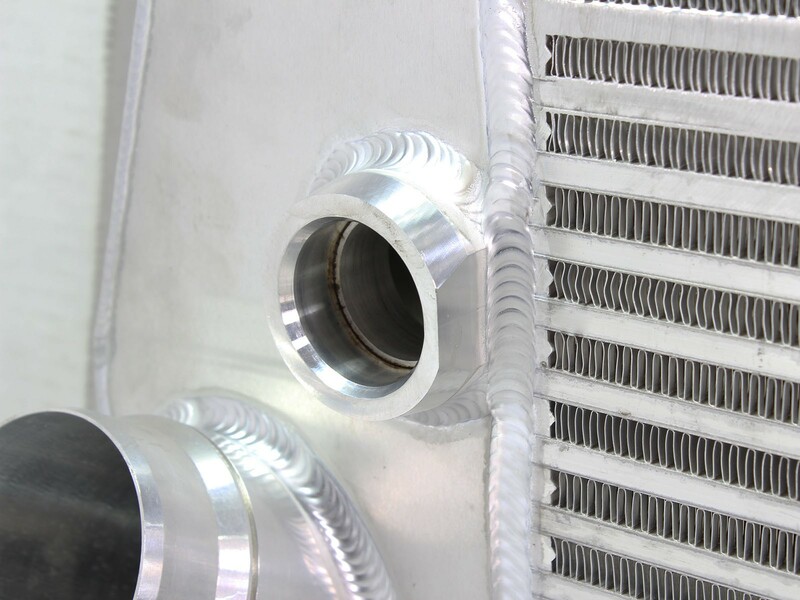 A CNC machined bypass flange allows the intercooler to be used on 2013-2014 models that come equiped with an electronic bypass valve. 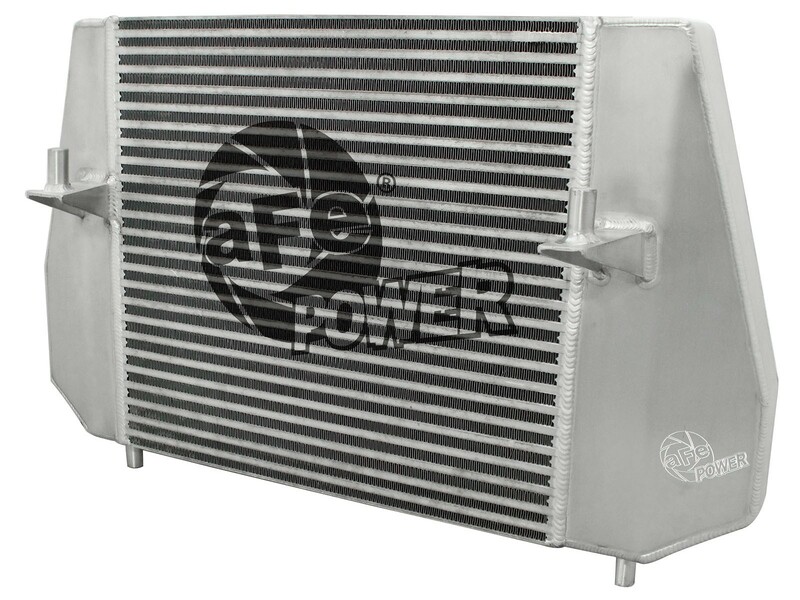 aFe has also addressed the OE intercooler water condensation issue by adding a CNC machined vent tube, which uses a solid NPT plug for periodic draining. 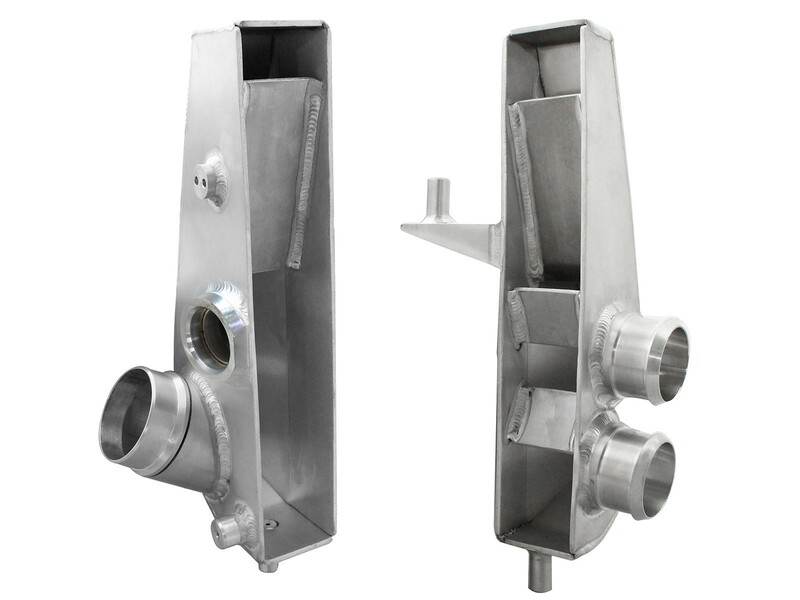 For those who wish for more automatic draining, we have also included is a 1/8" NPT breather vent fitting. 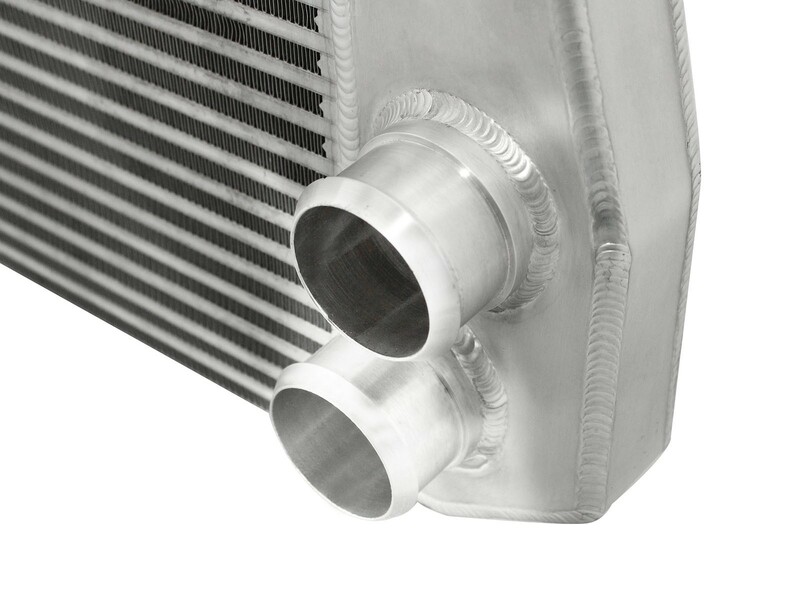 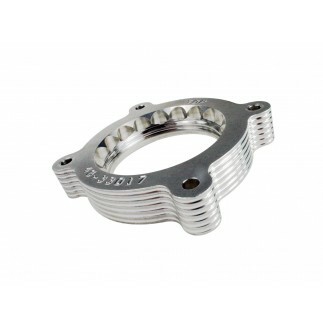 A CNC machined bypass flange allows the intercooler to be used on 2013-2014 models that come equiped with an electronic bypass valve.